Lets face it. You either love running or your hate it! Some people spring out of bed every morning for a solid 10km run while others believe the words FUN and RUN do not belong in the same sentence! The question is; can you learn to love it? I think the answer is yes. I didn’t always enjoy running. Over the years I blamed asthma, shin splints and the fact that I “just wasn’t a runner”. The more I think about it I realise that, I just didn’t give it a shot mainly because it bored me to tears. In my mid twenties I was on a secondment for an old job over in Sydney and decided to go for a jog and ended up on the pavement from Bondi Beach to Bronte. It was a game changer for me. The surroundings, the fresh air , the view literally changed my life. Prior to the run along those cliffs in New South Wales all of my runs had been done on a treadmill, around a footy oval or trudging through the old neighbourhood along uninspiring footpaths through “Truman Show” style neighbourhoods. Not exactly inspiring stuff! I find it funny how a trip to Sydney set off a journey of discovery of running tracks through Perth and just quietly… I reckon we have those Sydneysiders covered. 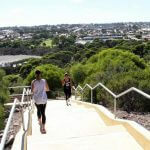 Below are my top four running, hiking or walking tracks around Perth. I’ve been a South Freo local for a few years now and when I moved into the area I was shocked to discover just how good the running tracks between Woodman’s point and Fremantle are. 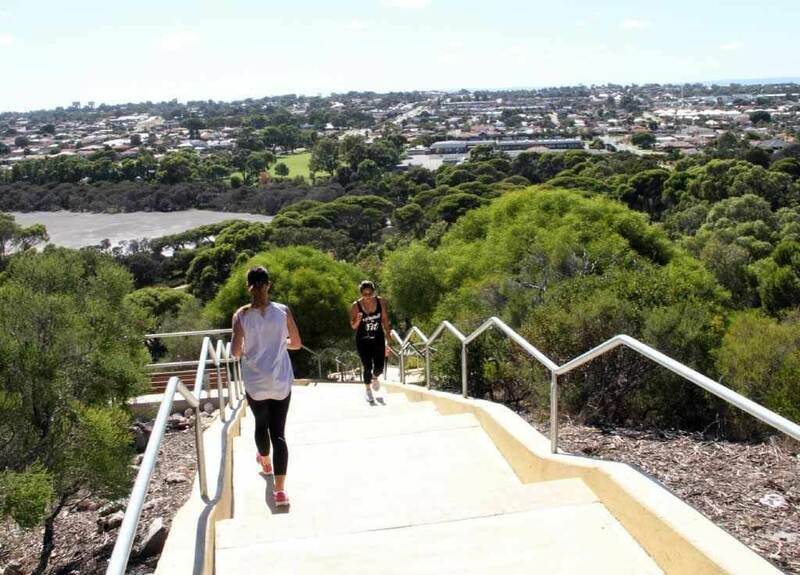 There is a single, uninterrupted pathway all the way from Woodman’s Point which follows the coastline for 9.7km, with a well maintained bitumen pathway that weaves north between the ocean and the sand dunes. As you progress north between the Old Power Station and the South Beach Precinct the smell of the thick vegetation that lines the pathway (weirdly) always reminds me of Rottnest giving that feeling of being on holiday. Mentally, I like to break all of my runs into three parts and this middle section, with its hill climbs and descents turns a nice flat aerobic run into a quad burner. There is a reward at the top of those hills though and that is the views of probably the most underrated beaches in WA. 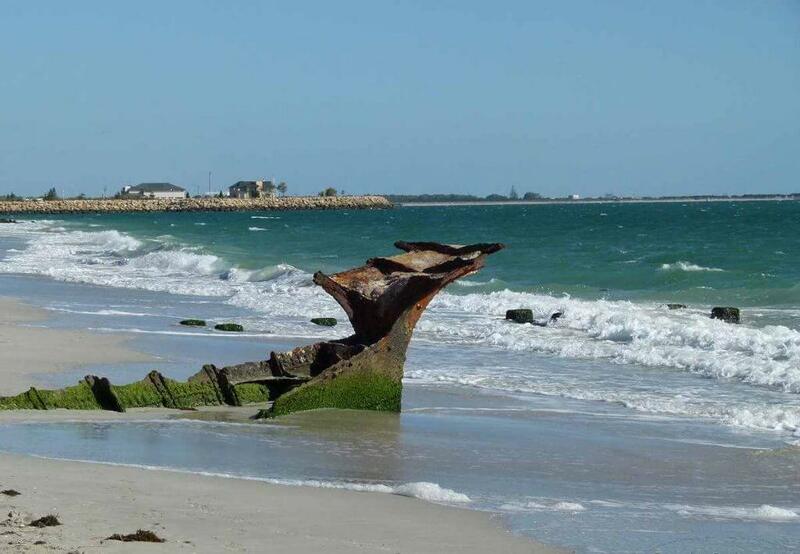 Dotted with 100 year old shipwrecks (63 in total) the remnants of which are still on the shore. Evidence of Freo’s history is there in abundance in the shape of Cattle Runs where stock were transported from big boats to land. The hills last for about 3km and then we are back to the future running past the cafes and newly developed high rise apartments. There is always a bit of a buzz around this section so there is no time to rest because we can’t be seen slacking off by the hundreds of beach goers! The last couple of kilometres takes us into south Fremantle past the yacht clubs and into the fishing boat harbour. The run ends coincidently smack bang outside of the Little Creature’s Brewery. Not a bad place to wait for an Uber ride home. A WA institution, running the “Bridges” is THE BEST run for any city slicker. I don’t know who designed the pavement for the Bridges but they had to be a runner. It’s 10km on the dot. Traditionally the starting point for this run is the flag pole at Wesley College boat shed but let’s be honest.. it’s a circle.. you can start anywhere. When starting out with consistent runs just the thought of attempting 10km sounds scary but it is more achievable than you think. There is a saying that comes to mind: “How do you eat an elephant? One mouthful at a time” I don’t mention this because elephants are high in carbohydrates, I don’t recommend actually attempting it. There are distant markers every 200m around the Bridges and tackling a run like this for the first time should be broken down into manageable chunks. You are your own competition. Forget what everyone else is doing or how fast or slow they are going. Jog until you get tired, walk for 200 metres and recover. Challenge yourself to jog the next 200 after that. Piece by piece, chunk by chunk, mouthful by mouthful. As with all Perth running tracks, earlier in the day is best. Perth lays claim to being the third windiest capital city on the world! Think about this when deciding what time you are going to attempt a long run for the first time and which direction to go when the track is a loop as there is nothing worse than being super tired coming into the second half of your run, turning a bend and being met with the famous Perth sea breeze head on! Another little run south of the river in the city of Cockburn is Manning Park. Manning Park is situated north of Azelia Road at Hamilton Hill. Manning Park is considered part of the larger Beeliar Regional Park that encompasses Manning Lake and the limestone ridge to the west of the wetland. There is a lot of history at this site with a museum located on site. I often exercise here because it’s just so versatile with a lake to run around, the stairs themselves and the Davilak Heritage trail if you are feeling adventurous and want to go off road. Manning Lake itself has a pathway all the way around at just a little over 1.2km. This distance is great for beginners as you are never too far away from your car should the dreaded stitch kick in. I like to do a couple of warm up laps around the lake and then hit the stairs. The stairs are tough, there are 192 in total from bottom to top and in my opinion they are the best in WA. I know what you are thinking. Jacob’s Ladder in the city is the best but I just get a better vibe on the Manning Stairs. I trained at Manning Stairs on Wednesday last week and the camaraderie between strangers was awesome. High fives, cheering and conversations were the order of the day. 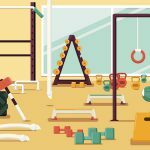 There wasn’t a selfie in sight at Manning unlike its city cousin where there are more check-in’s and photo opportunities than actual exercise!. It was just really cool. There are less stairs than Jacob’s but they are wider and cater for higher traffic but because it’s a well kept secret the extra space is never required. There are also a few landings and benches on the way up if you need to take a break. At the top of the stairs there is a spiral lookout that shows off views of our pristine coast line. There is something about that view on a calm still morning that takes the mind of your burning quads and motivates you to do an extra stair run. There are two options when you descend from the spiral lookout, you could head back down the stairs back toward the lake or get a bit primal hit some hills on a crushed limestone track toward the coast. The hills are tough and the ground is loose under foot but with look outs dotted throughout it makes for a picturesque run. For me, summer runs are all about the coast, but summer bodies are made in winter and there is just something magical about the bush. The Echidna Trail is located in the Walyunga National Park. I was introduced to the place as a teenager when my first martial arts teacher would take us kids out there for what, at the time, I swore was torture! Walyunga is located in the Darling Ranges. Its main features include the steep hills of the Darling Scarp. Another historical site is “Walyunga” named by the Noongar people meaning “Uncertain”. It is believed that Walyunga was used as a meeting place for Indigenous Australians as far back as 5000 years ago. Its importance is significant because it is where the Avon River meets the Brockman River creating the centre piece of Perth; the Swan River. As you pull into the car park and get going down the trail itself it is marked with black and white foot print signs intermittently so you know you are going in the right direction. Following the banks of the Avon River, home to the Avon Descent the first of a long list of picturesque sites is Syd’s Rapids. During the cooler months the water is flowing and is a good spot to take a little break if you are new to running. This is where the trail kicks up the energy as over the next 2-3km my running app registered that I’d run over 200m in elevation. The hardest thing about a run like this, especially when it’s the first time on the trail, is you just don’t know where the hills end. But rest assured what goes up MUST come down and usually an uphill battle at the start of the run usually means the trail ends going down. I would recommend running or hiking this track on a cooler, dry winter’s day as the environment is bursting with wildlife and the rivers are flowing. If it has rained in the days prior to your run, be sure to do the trail in an anti-clockwise direction to avoid any slippery downhill sections. So there we have it, your next four running challenges have been set. Perth is an amazing place and its amazing locations are right here under our noses. Sometime we just have to “lower our gaze” and take a minute to realise just how lucky we are to live here.